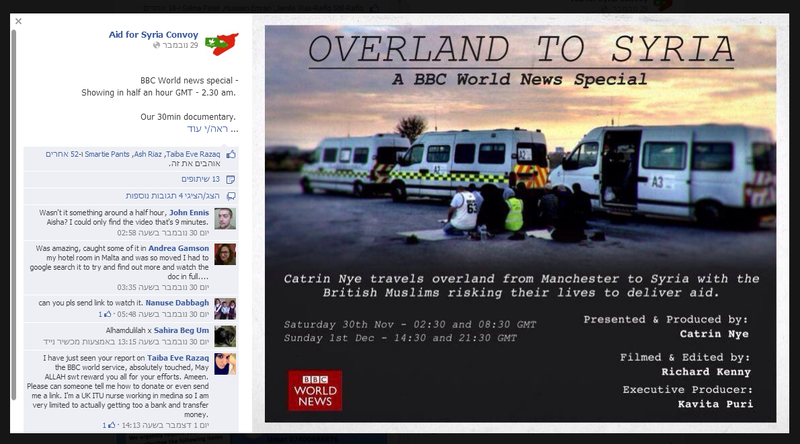 As was noted in the comments to one of our previous posts (thanks to Duvid), a recent article from the Gatestone Institute highlights the promotion of extremist charities by the BBC. Readers can see that ‘Newsnight’ broadcast here. 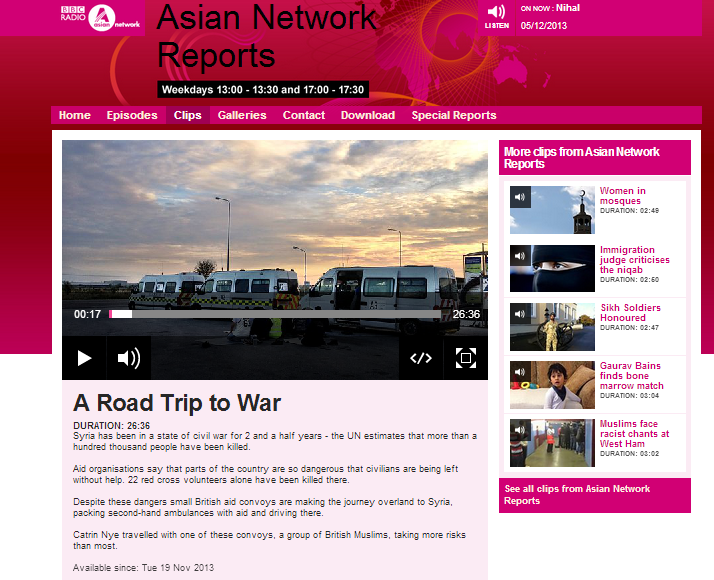 In addition to being featured on the BBC’s flagship news programme, a version of Catrin Nye’s report also appeared on the BBC’s Asian Network. 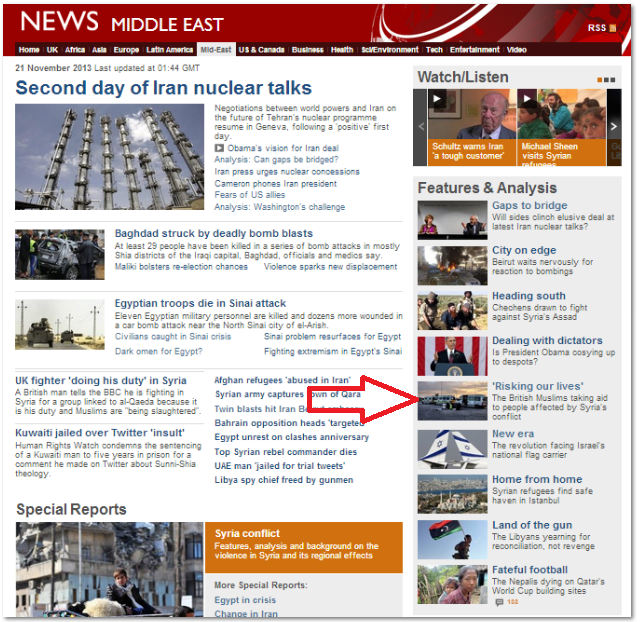 Filmed and written versions of the report were promoted on Twitter and appeared on the BBC News website’s UK and Middle East pages. 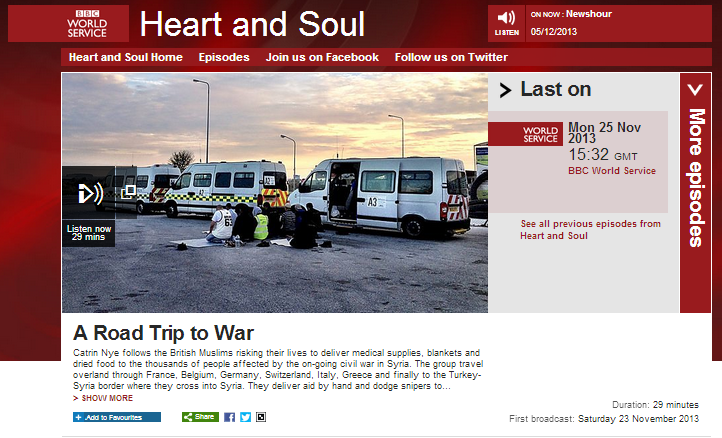 There was also coverage on the BBC’s local TV (featuring one of the people mentioned in the Gatestone Institute report), on BBC World News, on BBC World Service radio and on Radio 4. As promoted on the Facebook account of one of the charities and on Catrin Nye’s Twitter account, further programming is scheduled for this coming weekend. That, by any standard, is a great deal of coverage of one story. 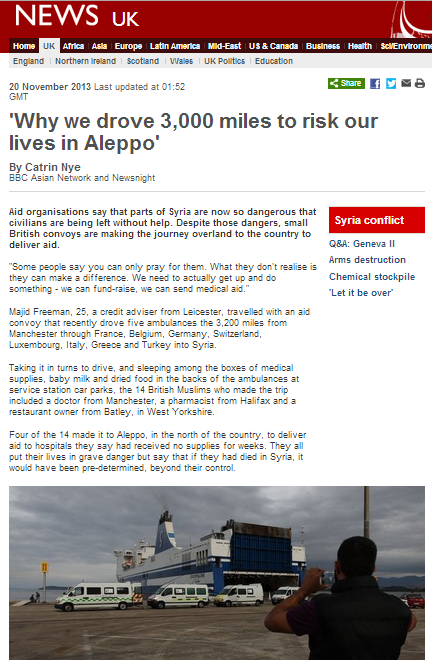 But of course the point – as made in the Gatestone Institute article – is that the BBC is telling half a story: in all of the above content it fails to inform viewers, readers and listeners at home and abroad of what lies beyond the humanitarian aid aspects of these charities, thus once again failing to meet BBC editorial guidelines on impartiality. Forgive me for asking an obvious question but is there any information of how many people actually read the bbc news reports. I, for example don’t even watch their terrestrial news programmes here in the UK. Are they really that influential? 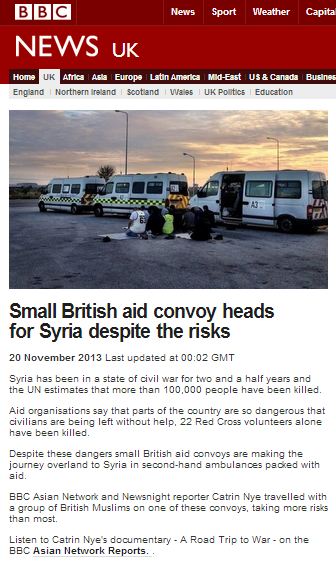 That’s not to diminish the wickedness of the bbc; that’s why I stopped both watching and paying for their propaganda. But, I’m interested to be educated on how significant they are in the global propaganda enterprise. 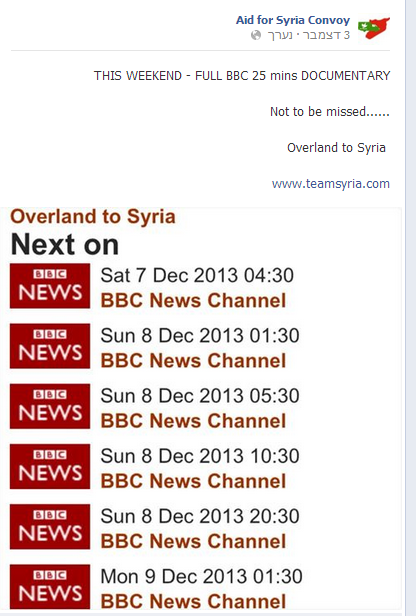 Beeb’s own jihadi travel rep-o! She’ll take to jihad at its worst. Stockholm syndrome, like Patty Hearst. Is not a goodie; she’s a baddie.